12/22/17: The wedding photos of Johana and Azoro. Taken at The Pt St Lucie Botanical Gardens in Pt St Lucie, Florida. 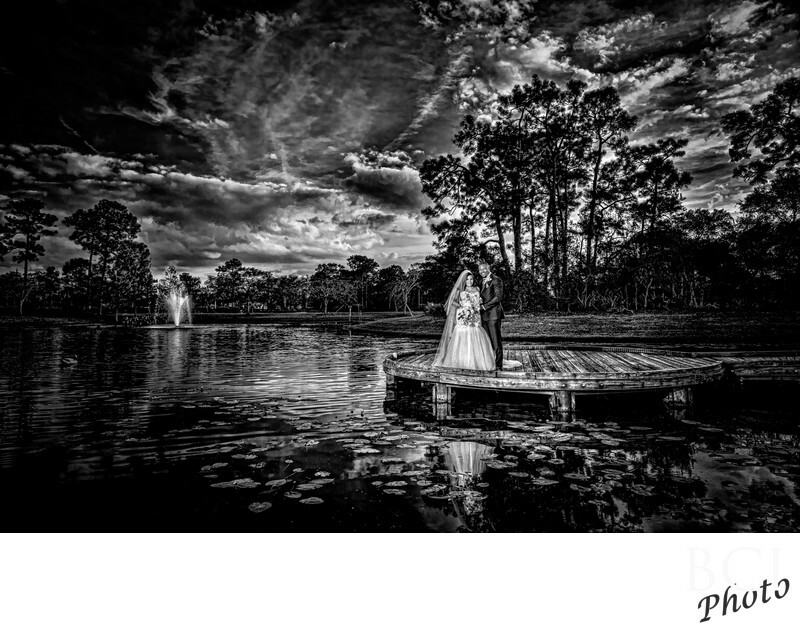 A wonderful black and white romantic wedding portrait, taken on the dock otherwise known as the lillypad at the pt st lucie botanical gardens. As the sun set we lit the couple from across the pond just enough to catch up to the fabulous sky and still catch the fountain in the rear.